We live in a chaotic culture, one full of all types of belief systems. Agnostic. Atheism. Darwinism. Buddhism. Humanism. Wall Streetism. A lot of isms swimming around our society. Being a Christian doesn’t make you immune to their ways of looking at and understanding life. If you watch television, read books, listen to music, you are getting a good dose of how these different systems of belief think you should live and who you should worship in this life. Look around you-we live in a very spiritual, religious society. The goal of this study is to help you grow in a deeper relationship with Christ. Pure and simple. Our walk with him is the most important part of our lives. I hope this writing helps you on that journey. 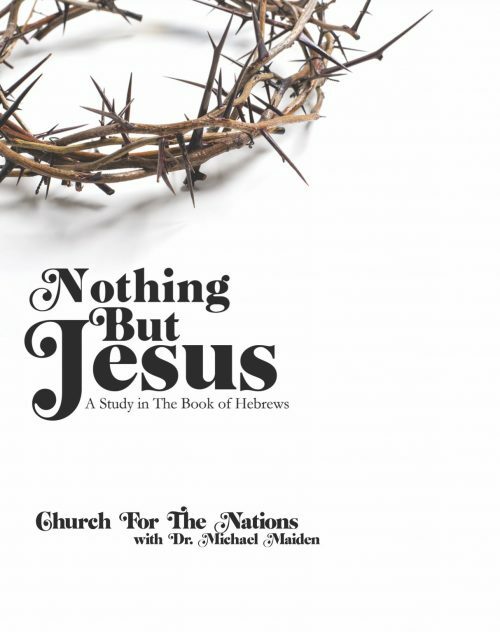 The author of Hebrews has woven together a book that points to the profoundly simple and important truth that Jesus Christ is the way, the truth and the life. He must be the center of our spiritual lives because He is truly superior to all other ways of living and worshipping.